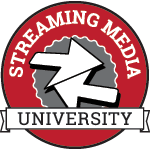 Streaming Media University features world class experts delivering content-rich training. This series of workshops at our Streaming Media events offers attendees the opportunity to get deep-dive training on online video and streaming technologies. Three-hours in length, these workshops give you the sound theories and practiced techniques to become a top performer in the online video field. In the end, you’ll walk away with a Streaming Media University Completion Certificate, and the professional know-how to enhance your career. All Streaming Media University workshops include a light continental breakfast, lunch, and morning and afternoon breaks PLUS complimentary access to the Streaming Media West Expo on November 1 -2, 2016. Encoding workflows for both SMB and enterprises can utilize powerful and free open source options, such as FFmpeg, which appeal to startups and established businesses for the flexibility in customization that they offer. In this workshop, learn the pros and cons of utilizing open source software in your encoding workflow. You also learn how to implement an encoding workflow by deconstructing a sample PHP and FFmpeg architecture. The presentation also explores extended encoding options for FFmpeg including HEVC/H.265, to maximize compatibility with a wide range of mobile and desktop browsers, as well as streaming media servers. Although the technology keeps getting easier to use, building end-to-end streaming workflows can still be challenging. In this hands-on workshop we walk you through installing software and building numerous on-demand and live streaming workflows. Along the way, we cover options and best practices for each step. Applicable scenarios include enterprise video, mobile journalism, sporting events, concerts, education use cases, and many more. You learn about streaming formats and architectures (including on-premises vs. cloud vs. hybrid), plus technologies and solutions for specific needs. To gain practical experience, we use Wowza products and third-party encoding, cloud, content management, and player technologies. Attendees are responsible for providing a laptop with the hardware and software requirements noted above in order to participate in the workshop. As Flash continues to decline, HTML5 video technologies increasingly bring the promise of heightened performance and better QOE. This workshop provides an in-depth look at HTML5 players, their features and strengths, as well as the open-source media engine frameworks available on the market today. We begin by examining the main components in a video player, then discuss how to choose a player adapted to one’s use case, examining how several open-source solutions compare. Finally, we use an interactive example to build features and demonstrate several optimizations, offering tips and best practices and pointing out potential production issues as we go along.